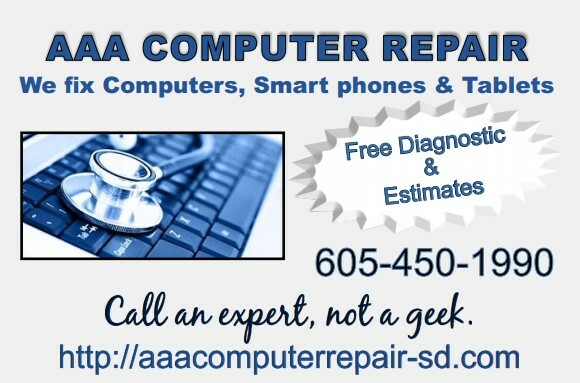 AAA Computer Repair is the PREMIER Aberdeen/Redfield Computer, Smartphone & Tablet Repair Service, & Consulting Provider. We offer the BEST RATES, most courteous service, and guarantee the work we perform. 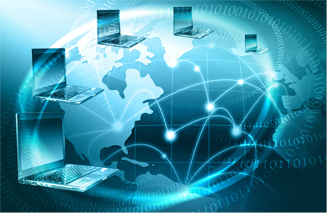 We can fix almost anything, hardware or software. Please call us for a FREE QUOTE or even simple advice. Drop your computer off for a tune up and get charged only $89.95! That's right, only $89.95 and the turnaround is 4 to 6 hrs. We offer FREE DIAGNOSIS! There is NO CHARGE to figure out what is wrong, you only pay for the fix. No other company offers that same service level. Call around and find out for yourself! Cell phone # 605-450-1990. Please leave a message if no answer. We have HUNDREDS of satisfied customers. If you want a referral, no problem.